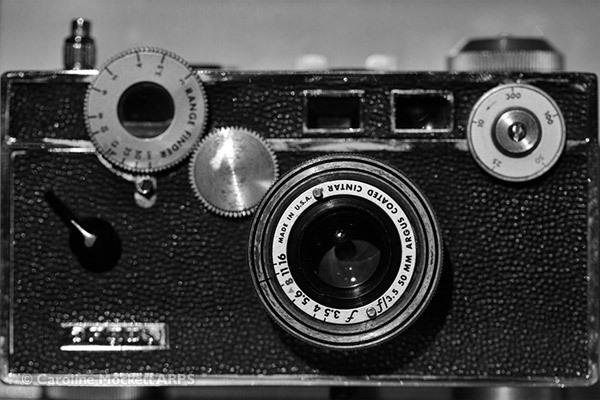 Notes: This is the curious shape of my Argus C3 Colourmatic film camera, made in 1957. It’s terribly un-ergonomic and quite heavy – but it has a unique design which is very eye-catching. They were affectionately known as The Brick, for obvious reasons. Notes: There was a great sunset this evening. 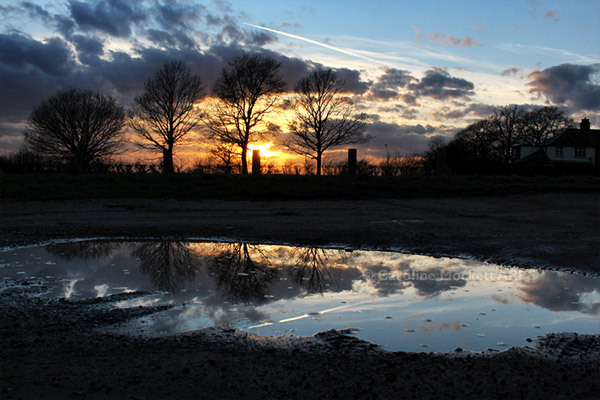 I headed to Galleywood Common to find a good spot for a picture, the deep puddles in the car park provided an extra bit of interest. 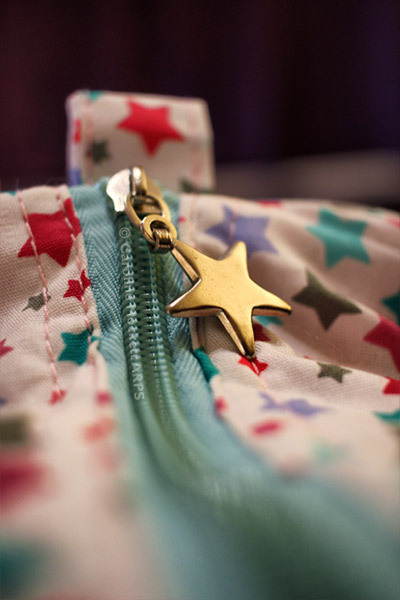 Notes: A late night shot of the zipper pull of the nice bag I keep my knitting in. Notes: We lucked out with the sunshine again and decided to visit St. Peter’s Basin for a walk this morning. 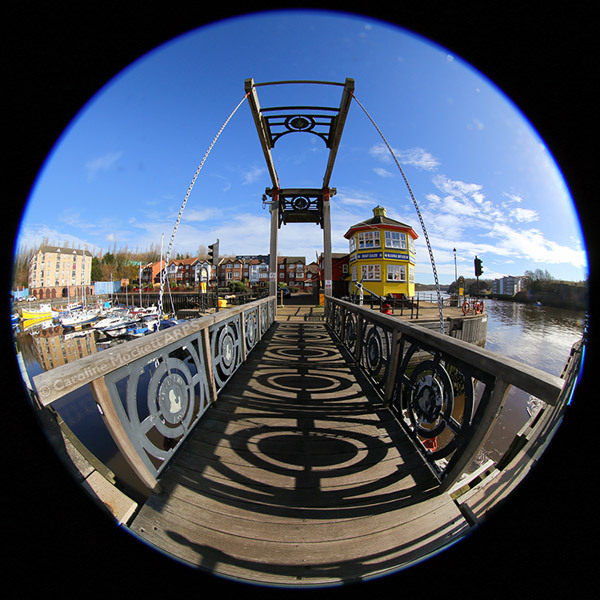 I liked the shadows falling on the deck of the bascule bridge, distorted in my fisheye lens. Notes: We made the most of a sunny morning and took a walk around Royal Quays Marina while the sun was out. 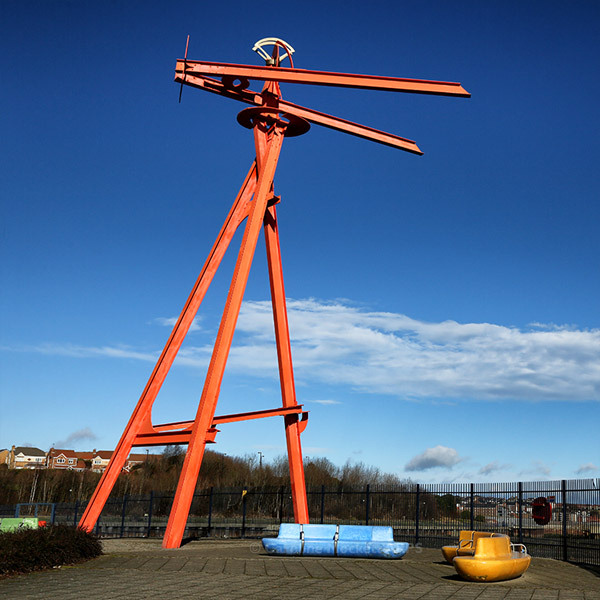 This is a big wind vane which turns as the direction changes. I liked how the bright orange stood out from the blue sky behind. 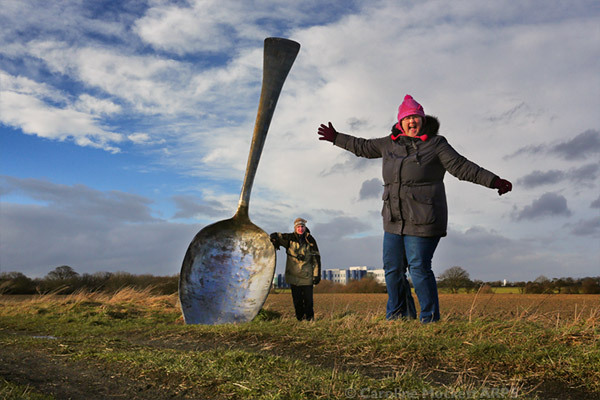 Notes: After a very windy visit to Northumberlandia, we took a walk to find some geocaches and happened to find this huge spoon along one of the footpaths. Apparently it’s art. All rather silly but perfect for Treasure Hunt Theme #74 – Surreal. Notes: Despite a rather drizzly afternoon, Alistair and I met up with some friends and went to Chinatown to see the Chinese New Year. 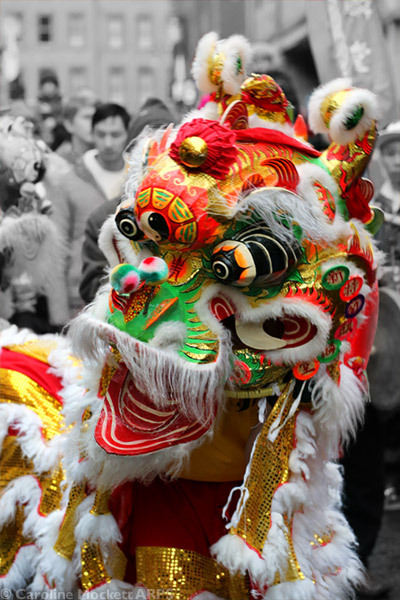 The dragons were entertaining and one even came into the restaurant we went to for lunch, dancing for us! Perfect for Treasure Hunt Theme #18 – Celebration.